My grandfather, Odiel, was also a pigeon man. 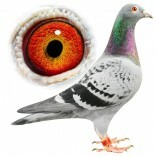 With his super pigeon “de grijzen”, he won a car on the national flight of Angoulême in the year 1949. When my grandfather died, my father took over the colony. At the age of 7, I helped already in the pigeon loft. We were lucky that we had a top pigeon from the start, our “zwarten nekke”. He classified himself 4 years in a row in the category speed. 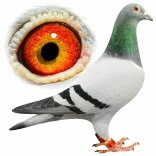 After that period, we were normal pigeon fanciers, always sportmanslike and always enthusiastic. Many years without motivation , without the spirit, but in the last years the passion for the sport came back. Starting at the last place, and climbing up to the first place : we did this in a few years. This is not easy to do. Since 2007 plans were changed. We never understood why we were not succesful with the pigeons. After a long period of consideration, listening to other fanciers, and a lot of common sense, we said goodbye to the usual systems. We did it the other way around. Attention !!! This is the true story, and the truth can be told many times. So, when you like very commercial pedigrees, when you are a very good fancier in the winter period, but you are finished when the season starts, it’s better you do not read this story. I cannot help you. My father decided to breed out of our racers, and not only with the breeders. Our idea about breeders …. 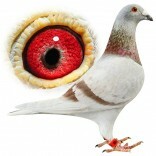 Well, there are not so many good breeders, like also there are not many good pigeons. We said goodbye to the vet, stopped with medication. We started with a natural selection of the fittest. Racing, racing and racing again. Pigeons with problems were taken out of the team. Only the best may stay. The selection was very hard. With heavy and difficult conditions, the whole team was sent. We also had luck but, when you work hard, you have more luck. We learned very quickly. We invested in famous paper birds, big pedigrees, but saw that our own pigeons were much better. We are only interested in good birds, not in good paper. What can you do with a good pedigree ??? The result is the only important thing. 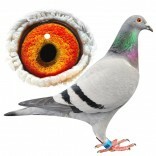 In a very short time, we could race against the top pigeons. In 2009, we had our first classification since years in the championships in our county. We had a 10th place, and were very happy with that. 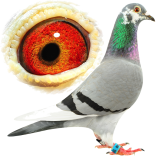 Now, since 2010, we have 27 ace pigeons classified . Our loft : We have 200 pigeons, including breeders. 145 are in the race team. From these 145, 136 are going to the races. Everything has to fly over here. The hens every week, the boys every 2 weeks. 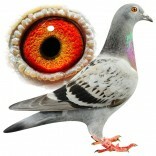 Some critics say we play with many pigeons, but I know many fanciers with 200 pigeons on their loft, but only race 30!! Our output is very high, and we can get the best out of them. It’s a never-ending circle. Later in the season, we add 125 youngsters. We also have many champion birds. I think that my best bird 5 years ago would not be in my top 50 for the moment. We have to breed every year new champions. 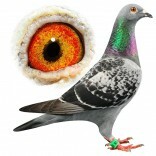 When we breed normal pigeons 2 years in a row, we are finished. We do not sell our champions, certainly not in their race career. I need all my champions. 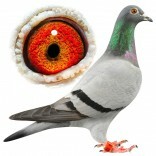 It’s very simple : when you play your pigeons hard, only quality is left after a while, only pigeons with great results. 1. We play all races, starting with the first and ending with the last. All distances, all categories, all flights. Many don’t do this, because they do not have the birds to do it. Many tried, but without success. 2. We are succesful on all races, and always compete for the victory. We only speak about top national results. No provincial flights with a good wind, or a good location. You have to be honest with yourself. 4. We won almost everything in a 2 year period. We are the only ones from our county who won the title CHAMPION OF BELGIUM , BIG HALF FOND . The second best ever was 5th, just to give you an idea how difficult it is. In 2013 we were CHAMPION OF BELGIUM, CUREGHEM CENTRE. We were very happy with this, to win a championship with the very long distance races : Barcelona, Libourne, Narbonne … We do not really have a goal, but if you play very good, it all comes automatically. Two years in a row Champion of our county, West Flanders, more than 100 victories in 3 years, 55 top 100 national results in 2 years, 3 national victories, superstar of the month : only the results counts, the rest is not important . 6. Conclusion : Becoming a champion is difficult, but to stay on the top is even more difficult. Normally we are ok for many years, as long as we keep the team together. It’s easy when you have them, and when you don’t have them … it’s difficult! The future : Sooner or later, we’re going to build a loft on a much better location to race, but first we will continue breeding good birds. Dear sportsfriend, have a look at my FLANDERS FIELDS, and enjoy it. I wish everybody the best, and good luck in the sport. We did it : my grandfather Odiel and my grandmother Elsa would be very proud, and proud they may be….